If you have been trying to lose anywhere between 10 to 20 pounds just as quickly as humanly possible, then you should focus on the 7-day GM diet. 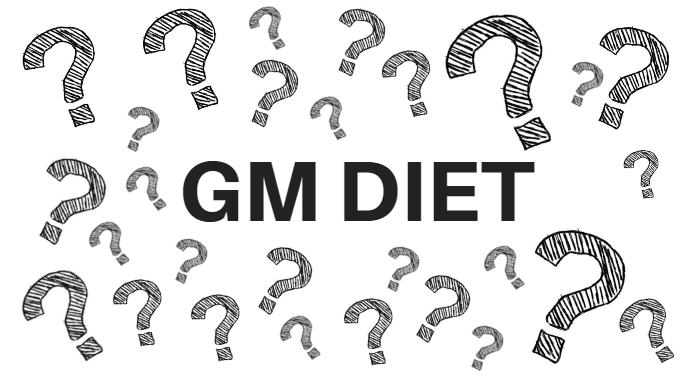 Although its name may suggest it, according to New York Times, it is a myth that the GM company is behind this diet. Surprisingly, this program has quickly gained a global following. Basically, this entire plan has been designed and developed from the ground up to produce stunning weight loss in a hurry – by helping you eat much more efficiently and in a healthy way. The GM diet incorporates already known aspects of weight loss that have had fantastic results. It was built on the back of weekly programs that both Atkins and South Beach dieters used to great success in the past. If you’ve always wanted to be able to lose a significant amount of weight in just 7-days, then you’ll want to pay close attention to all of the information outlined below. We will give you diet plan with charts, cheat sheet for each day, tips & more! There is even a great GM Diet application for your mobile phone you can use (for Android devices) (for Apple devices). On day one, also known as adjustment day, you should focus on getting down the basics. Being the first day, you are required to eat only fruits all day long. Any fruit will do except banana or any other fruit that is high in sugar (such as grape, lichi or mango). You are encouraged to eat watermelon or cantaloupe in plenty for its hydrating effect. There are no specifications in quantity and frequency of your meals. You can easily eat pure fruits even 20 or more times a day to make you feel full. You need to drink at least half a gallon of water (around 2 liters) a day. 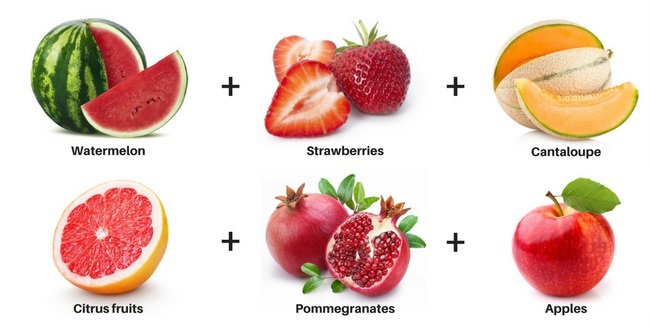 Just remember this day is only fruits day to increase your daily intake of antioxidants and vitamins. This is just our sample meal plan you can try for yourself. However, you can build one that suits you more. Just follow the rules above. As the first meal of your day, you can have a bowl (around 14 oz / 400 ml) of sliced apples (usually one or two is enough). Apples are a great source of fiber and vitamins that will help you to start your day right. Don´t forget to drink at least two glasses of water. If you feel hungry before your lunch, I recommend eating a bowl of raw papaya. Again, do not forget to drink two glasses of water. For a lunch, you can have a bowl of watermelon with two glasses of water. As a mid-afternoon snack, I recommend you to eat a bowl of raw papaya with two glasses of water. For a dinner, you can have a bowl of watermelon with two glasses of water. I do not recommend to eat after dinner. However, if you have to, then you can have a glass of coconut water rich in potassium. The aim of the day one is to cleanse your body’s digestive system and boost your metabolism. Thanks to this detox period your weight loss over next six days will be easier. On the second day of the GM diet, your body is still adjusting to the change of your meal plan. After a day full of fruits you can introduce all sorts of vegetables into your daily food. The second day is also known as a “veggie only” day, and it will be hard. You do not have to eat all vegetables raw – you can bake, steam or boil them as well. There are no specific limits on amounts of vegetables you need to eat (one exception are potatoes). My advice is to make salads your main meals (do not forget to add seasonings to make raw vegetables taste much better). If you like spicy and hot meals, don´t forget to add chili to your salads to improve your metabolism. If you are still hungry, try to make a vegetable or tomato soup as the intake of hot watery soup will make you feel full and help you combat food cravings. You can have potatoes too, but limit them to breakfast. Remember to stay hydrated and drink about 8 – 12 glasses of water throughout the day. For the second day, you should eat a bowl of boiled potatoes or sweet potatoes. Do not forget to use seasonings and add fresh parsley for a better flavor. Drink at least two glasses of water. If you feel like snacking, try having a bowl of raw red lettuce or cabbage with a vinegar. You can drink two glasses of water. Have a bowl of vegetable salad (do not use oil). 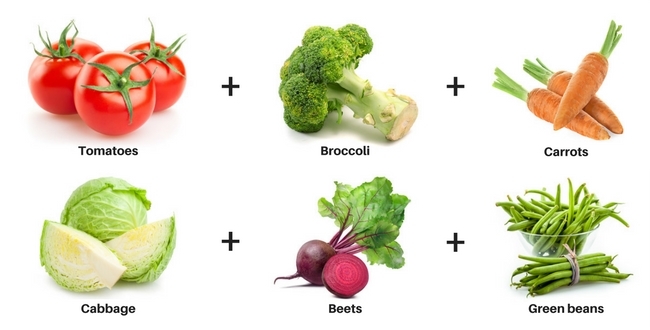 It can include Roma tomatoes, cucumbers, lettuce, and beets (boiled or baked without any oil). You can drink two glasses of water. If you feel like you need something to eat after your lunch, try having a cup (8oz / 240ml) of cherry tomatoes with two glasses of water. Eat a cup of steamed asparagus, broccoli, cauliflower, and carrots for a dinner on day two. Drink two glasses of water. Again, you can have a cup of cherry tomatoes with two glasses of water. The aim of day two is to increase your fiber intake that will help you to regulate the sugar content from all the fruit eaten on day one. On the third day of the vegetarian version of GM diet, you will be combining both day #1 as well as day #2. This way you can have all those sweet fruits and filling vegetables all day long. Just keep in mind that you have to avoid potatoes, bananas, grapes, litchi, mangoes and other fruit rich in carbs and potassium. Again, the quantity is not defined and you do not have to eat all vegetables raw – you can bake, steam or boil them as well. Also, don´t forget to add seasonings to make raw vegetables taste much better and chili to your salads to improve your metabolism. If you are fighting food cravings, try to make a vegetable or tomato soup as the intake of hot watery soup will make you feel full and help you combat food cravings. Do not forget to drink a lot of water as well. For your breakfast on the day three, try a cup of diced apple or melon. Drink at least two glasses of water. If you need that mid-morning snack, go for a bowl with a raw cantaloupe and papaya mixture. Again, drink at least two glasses of water. For lunch, you can have a big salad that includes romaine lettuce, tomatoes (cherry or regular size), cucumber, peppers, and beets (you can add vinegar). Drink two glasses of water. In the afternoon, you can have a mango or orange to fight your food cravings. Do not forget to pair it together with two glasses of water. For a dinner, try having a salad with various leafy greens, steamed broccoli, and raw papaya. Again, do not forget to drink two glasses of water. If you really need to have something even after your dinner, try having a glass of coconut water. It will curb your appetite. At the end of this day, you should start to notice some weight loss. I recommend eating a wide variety of fruits and veggies to consume the widest spectrum of vitamins and minerals. Finally, on the day four, you are allowed to eat that forbidden fruit – the banana. Actually, you can have up to 6 large ones or 8 medium sized. You will combine it with four glasses of milk distributed throughout your day. 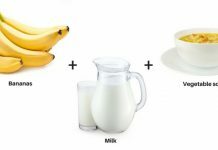 All those bananas and milk are ideal for replenishing crucial minerals (such as calcium or potassium) and energy levels. To make combating food cravings easier for you, you are allowed to have a bowl of GM vegetable soup (ideally for lunch). If you feel like you can not make it without food, you can have one even for a dinner. Also, do not forget to drink a lot (8-12 glasses) of water. It is crucial for this diet to work to always keep yourself well hydrated. 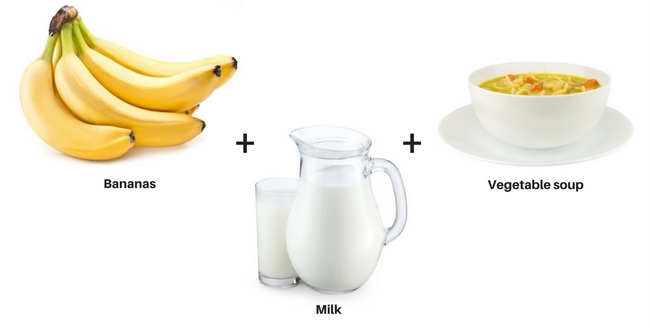 For a breakfast, you can have one glass of milk with one medium-sized banana. Drink at least two glasses of water. If you feel like snacking before your lunch, try having one glass of milk and two bananas. Again, drink at least 2 glasses of water. For your lunch, try eating a bowl of “special soup” (simple recipe is at the end of this article) and drink at least 2 glasses of water with it. This should make you feel full for some time. If you need a snack after your lunch, try drinking a glass of milk with mixed banana (you can make a shake) and drink a glass of water. For your dinner, you can eat a bowl of “special soup” and one banana. To keep you well hydrated, you should drink two glasses of water. This day you are focusing on bananas because this way you will replenish sodium and potassium you were not getting during first three days. My recommendation for breakfast is a meal that is rich in fiber (preferably boiled legumes). For a lunch, you could have a cup of vegetables of your choice with a portion of meat. For a dinner, you can have the special GM soup with a vegetable salad. Your daily menu will also include six whole tomatoes that will provide your body with antioxidants and fiber. 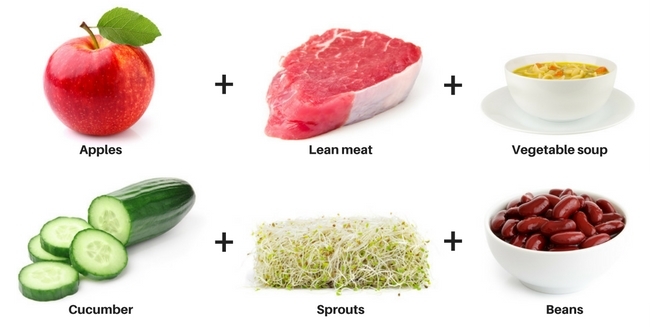 Additionally, you can eat sprouts as well as cucumbers. Both are low calorie and rich in water and minerals. Protein-based meals may lead to increased levels of uric acid within your body. That is why you need to increase your water intake on day five. For your breakfast, you can have braised beef with two sliced tomatoes. Do not forget to use basic seasonings like black pepper, lemon zest, fresh parsley/coriander, or pink Himalayan salt. Drink three glasses of water. For a mid-morning snack, you can eat a turkey patty with a tomato for a good source of protein. Drink three glasses of water. For a lunch, you can prepare a hamburger patty (do not forget use seasonings) together with a sliced tomato. Drink three glasses of water. If you need a snack after your lunch, you can have a turkey patty (with seasonings) and a tomato. Do not forget to drink two glasses of water. For a dinner, you can have a hamburger patty with two fresh tomatoes. Again, drink two glasses of water. As a bedtime snack, I prefer a glass of coconut water to fight food cravings. During this day, you need to eliminate as much of the fruits and glucose as possible before you finish this diet. You can enjoy meat as well. Just keep in mind that you need to flush out the uric acid your body will produce from digesting all that meat by drinking even more water. You are almost done now! The day six is very similar to the day five. You are focusing on protein-rich food. However, you need to avoid eating tomatoes. My recommendation for breakfast is a meal that is rich in fiber (preferably boiled legumes). For a lunch, you could have a cup of vegetables of your choice with a portion of meat. For a dinner, you can have the special GM soup (just do not use tomatoes this time) with a vegetable salad. Protein-based meals may lead to increased levels of uric acid within your body. That is why you need to increase your water intake on day six as well. 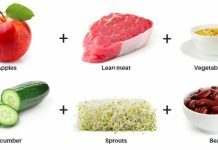 The first meal on day 6 should be a bowl of “special soup” with lean beef strips. Drink two glasses of water. As a snack, you can have a salad made of green leafy vegetables with cooked lean beef and chicken strips on the top. Use seasonings for better taste. Drink at least 2 glasses of water. For a lunch, you can have cooked beef with a lot of vegetables. The choice is up to you but avoid bread and potatoes. Do not forget to drink three glasses of water. Again, as a snack, you should eat a salad from green leafy vegetables with cooked lean beef and chicken strips on the top. Drink two glasses of water. As the last meal on Day 6, you can have a beef patty (with seasonings) or chicken breast together with a bowl of “special soup“. Do not forget to drink two glasses of water. During this day, you need to eliminate as much of the fruits and glucose as possible before you hit the “homestretch”. You can enjoy meat as well! Finally, the last seventh day of the vegetarian version of GM diet has come. Because you have made it this far, you will be rewarded. A lot of people call this day a feast day. Although you want to avoid sugar at all costs, you are allowed to substitute sweet things with a freshly squeezed fruit juice (without any added preservatives or sugar). Not only that, you will be able to eat a lot of rice, vegetables as well as melons. Remember to drink your recommended two liters of water (and more) for the day too. After the seven days, you should be at least 5lbs lighter. A lot of people who follow the diet strictly lose up to 17lbs in only seven days. The first meal on your last day of this diet should consist of a cup of brown rice or oatmeal together with the melon. Do not forget to drink two glasses of water. If you need a snack before your lunch, you can have a bowl of sliced strawberries. Drink two glasses of water. For a lunch, you can have a big salad made from vegetables of your choice mixed with raw mango. Drink two glasses of water. If you crave for some snack before dinner, you can have a bowl of blueberries and raspberries. Drink two glasses of water. For dinner eat a bowl of brown rice with a lot of vegetables of your choice. Again, you need to drink two glasses of water. For a bedtime snack, I prefer a bowl of strawberries. Just avoid anything else. At this day, you will be pushing out that extra fat from your body. If you want to, you can continue with this nutritional plan to enjoy even better results. Surprisingly, there is an easy vegan and Indian alternative to the GM diet. If you would like to move forward with this diet without adding any meat to the program whatsoever, then feel free to do so. Just keep in mind that if you do not keep the same amount of protein as well as increase the number of calories eaten on “meat” days as if you fail to do so you may notice a major drop in energy and a slowdown in weight loss process. There is a detailed video that includes a sample meal plan below. We have written even our own detailed guide to the Indian/vegetarian version of GM diet. 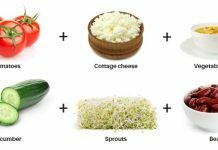 This “wonder” soup is very simple and as you can see these ingredients are very easy to get and will not cost you a fortune. There are countless weight loss products out there on the market, but this is one of the few solutions to have proven itself time and time again – all across the globe. If you want to get skinny, the GM diet is everything you have been searching for and so much more. 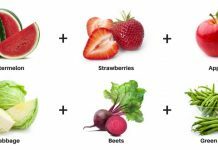 Did you know that this diet is really good for the detoxification of your body? You will stay away from bad foods that tax your liver, kidneys, and skin such as processed foods, unhealthy proteins, and insulin spiking carbohydrates for the first few days. Another way this plan encourages healthy detox is by drinking two liters of water each day and consuming lots and lots of fresh fruits and vegetables. 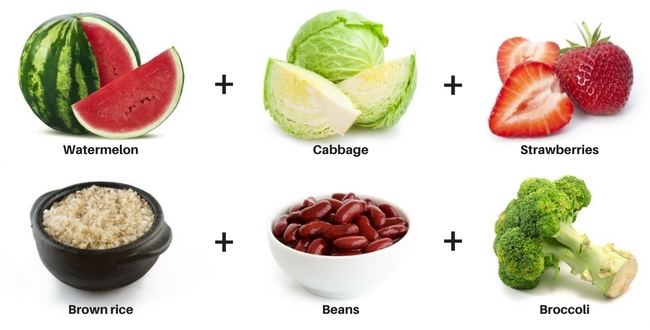 These foods are rich in fiber and will promote a healthy bowel movement as well. Proper hydration (remember you are drinking two liters of water per day) can help your body to fight constipation. Not only that, you will consume a lot of fruits and veggies that are rich in dietary fiber – a substance that helps to clean your digestive tract. All this is a great way to restore healthy bowel movements. As constipation is associated with the build-up of toxins in your body, you will improve your detoxication even more. Also, drinking that much water per day will help get rid of any toxins or bacteria that may be present in your urinary tract. This diet has become popular mainly due to the fact that you can lose a substantial amount of weight in a record time of just seven days. Well, this statement is true but it depends on how well you stick to the main principles and rules of this diet. Some people report that they lose around 3 to 5 kilograms (6 to 11 pounds) in 7 days, which is a truly significant number. Although most of this lost weight is usually caused by the release of retained water, this is great achievement nonetheless. 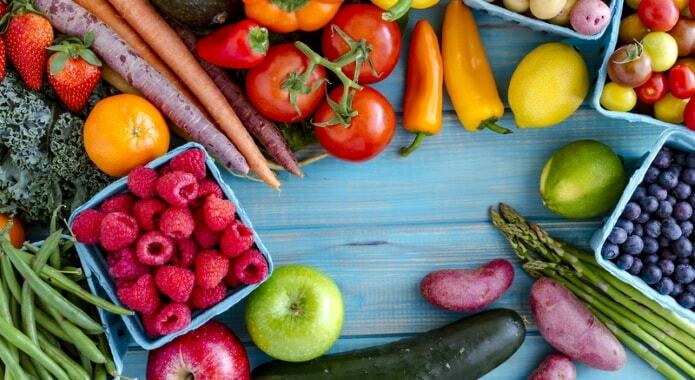 According to one study done with 133,000 participants in 2015, people with the highest intake of fruits and vegetables had the lowest risk of weight gain over a 4 year period. As you consume fruits, vegetables and drink so much water, your skin will start to shine and look healthier. 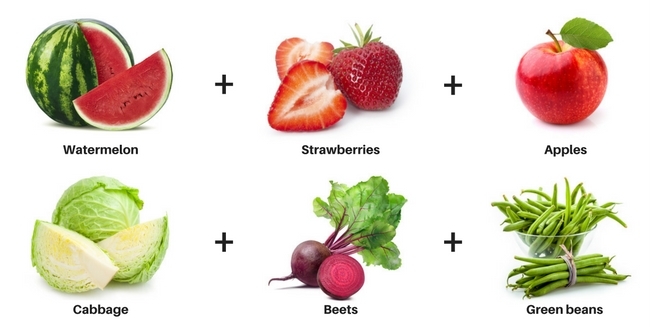 Fruits and vegetables are rich in antioxidants, which will help prevent skin damage caused by free radicals. Not only that, veggies are an excellent source of minerals as well. Some of the best minerals found in many vegetables that are great for your skin are zinc, selenium, and sulfur. 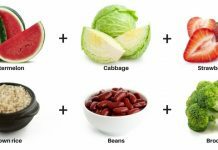 By consuming vast amounts of vegetables you will receive these minerals and your skin will thank you for this, trust me. Lots of people report feeling light, enthusiastic, and energized while following this diet so you can expect the same. Your body will really enjoy the vast amount of antioxidants, vitamins, and minerals from healthy foods. This will also reflect on your energy levels. Just keep in mind that drinking water is also bound to help you feel energized as dehydration is a known cause of lethargy and feeling weak. One of the pros of this diet is the fact that it takes just seven days. Dieting for one week is quite manageable for every serious dieter out there. If you can’t stick to a diet that is this short, you should definitely work on your willpower. Thanks to the fact that it lasts such a short amount of time, you will want to repeat GM diet over and over again as you will see the awesome results on the day number seven. The fact that this diet lets you pick among your favorite fruits and vegetables makes this plan less restrictive and easier to follow. Just keep in mind that there are two sides of the story for almost everything out there. This is the same for the GM diet as it has not only benefits but also side effects. The GM diet is not sustainable over a longer period of time, seeing as it restricts the intake of many crucial nutrients. It is especially not suitable for those trying to gain muscle as the food proportions and types are not ideal for proper bone muscle formation. Before you dive right into this diet, we strongly suggest you to check out what side-effects and cons are related to this type of diet. One of the primary shortcomings of this diet is the minimal amounts of protein allowed per day. The first few days of the diet restrict the intake of protein, and so you can expect muscle loss, and even the meals that follow the first 72 hours are not enough to sustain muscle content. The first three days may be characterized by incessant thirst, even after drinking enough water, and dizziness due to the reduced portions of food. Your body will crave for more food and will, therefore, use the water consumed to carry out digestive functions. The body may be near dehydration if you don’t drink enough water. Some guides say you can work out while on this diet, but that is not practical. You will be weak from not eating enough food, and so your body cannot perform optimally. You could do a few workouts that do not strain you too much. However, weightlifting and intensive cardio could have you reeling and feeling too dizzy for a comfortable weight loss. Even though vegetables and fiber are drivers of the metabolic system, lack of protein causes muscle degradation. Your muscle plays a vital role in metabolism, so you want to keep the levels up to par. Protein is also the building block of hair follicles, and less of it means dull hair and skin. You won’t be on this diet forever, and so the resumption of regular eating could lead to weight gain. The GM diet is best regarded as a detox that helps get rid of toxins, but it is not sustainable in the long run. I won’t lie to you. Dieting is hard, strict dieting is even harder. Restricting carbs and eating a low amount of foods and calories is one of the hardest things that require strong discipline. You have to stick to a plan you usually do not like. That is why you need to be highly motivated and maintain strong willpower to follow strict rules. There is little to no exercise allowed during this diet as you will feel fatigued and drained. A minimal amount of “sweating” might lead to slower weight loss. If you want to speed up a fat loss on GM diet, you should walk throughout your day, as this will no doubt burn calories and won’t leave you extremely tired or exhausted. Another downside of restriction based diets is the fact that you are missing some of the important nutrients your body needs to function properly. As mentioned in the points above, because you will eat only a limited types of food your body will miss protein (among other nutrients). While dieting, you might lose lots of water weight as you will stay away from sugary candies and salty junk food. You will feel thirsty because your body should get into fat burning and detox phase. To flush out toxins stored in fat, your body will need to use more and more water. As you can see, this is an easy way to get dehydrated. Make sure you exercise a bit, 30 Day Squat challenge should be enough. Eat lots of fiber in the form of glucomannan or any other fiber might do the job. Eat your food slowly and mindfully. Try to get a good night’s sleep. Wait until you are really hungry before you reach for food. Always try to move around, a slow walk is preferred. Use lemon, herbs or vinegar dressings for salad. You can pick any exercise from this list and do a bit every day. Opt for low fat and skim milk instead of fatty milk. When you cook your food, opt for steaming or pressure cooking. Choose vegetables according to your taste and preference. Don’t buy any prepared or fast food. Don’t graze all day long. Don’t use calorie dense salad dressings. Don’t skip days on this diet plan. Don’t use much oil in your foods and stick to extra virgin ones. Don’t cheat and overeat on specific days. Don’t drink tea or coffee full of sugar or cream. Stay away from cheese as it is full of calories. Stay away from full-fat milk. Don’t drink sodas full of artificial sweeteners and calories. Avoid beans such as kidney and pinto as they are high in starch and calories. FAQ #1: WILL I LOSE WATER WEIGHT ONLY? Not really. While, the majority of your results will be achieved through loss of water weight, thanks to the reduced caloric intake you will lose some of your body fat. Therefore, this diet is ideal for kick-starting your metabolism in a short-term and not as a long-term approach to weight management. 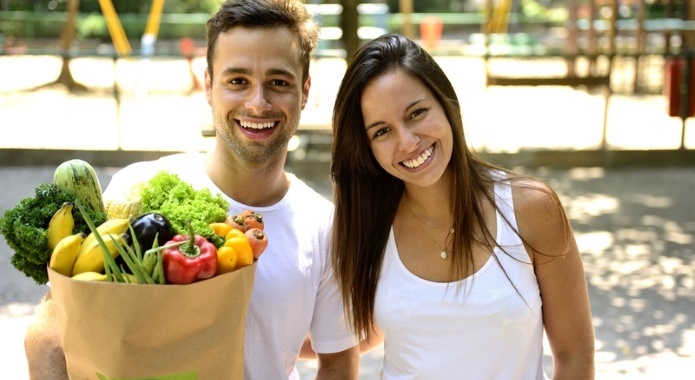 FAQ #2: CAN I FOLLOW GM DIET CONTINUOUSLY? No, you should not use this diet as a continuous lifestyle. It is meant to be a kick-start for a better way of eating. Once you finish your seven-day cycle, you need to have a week off period. Ideally, you should take at least a week or two off before you start again. During your weeks off, you should focus on eating a healthy, mineral and vitamin rich food. 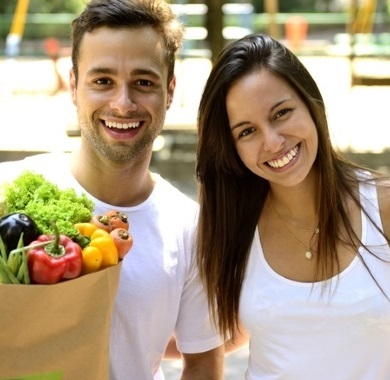 This way, you can easily replace all those necessary substances you will lose during GM diet. FAQ #3: HOW OFTEN CAN I REPEAT THE 7-DAY CYCLE? Luckily, there is no minimal or maximal limit on the number of cycles you can do. However, as I have written in the answer above, you should take at least a week or two off. Do not forget to follow tips and recommendations from above answers as well. FAQ #4: WHAT SHOULD I EAT AFTER GM CYCLE? To make sure that a kick-start weight loss achieved thanks to GM diet will continue, you shouldn’t return to your old eating habits you followed before. If you have not exercised before, then start slowly. Gradually increase the difficulty of your physical activities to not injure yourself in the process. FAQ #5: WHAT HEALTH ISSUES PREVENT ME FROM THIS DIET? I do not feel educated enough to answer this question. You should always consult dietary changes you want to take with your medical professional first. From what I know, I can say that it is not suitable for diabetics, as well as pregnant and breastfeeding women. FAQ #6: CAN I DRINK COFFEE OR GREEN TEA? Sadly, you can not drink coffee while on this diet. In fact, you should not drink it even on your days off as it is not very healthy for your body (makes your body much more acidic). On the contrary, herbal as well as green teas are fine. If you need to use any sweetener for your hot beverages, then go for dried stevia leaves as they include zero calories. FAQ #7: CAN I ADD HONEY & LEMON TO MY WATER? With regards to lemon, sure, you can add it to your water you drink daily. Just pay attention that lemon makes the environment of your stomach less acidic. Therefore, you should drink it on empty stomach and wait for at least thirty to forty minutes before you start eating. Otherwise, you could experience indigestion and other health-related issues. With regards to honey, you should not sweeten your water. While it is one of the healthiest sweeteners in the world, it adds a lot of calories to your daily menu you will not need while following GM diet. FAQ #8: CAN I DRINK ALCOHOL DURING THIS DIET? You are not allowed to drink any alcohol during GM diet. It is full of empty calories and can cause serious harm to your organism. This is the reason why you should not drink alcohol even after you are finished with this diet. There are no health benefits of alcohol that would justify the need to drink it. FAQ #9: CAN WE USE OIL TO COOK THE VEGETABLES & MEAT? Sadly, you should not use any oil when cooking your meat or veggies if it is not explicitly stated. You can see specific directions for each meal in paragraphs above. FAQ #10: CAN WE ADD SALT, PEPPER & OTHER SPICES TO OUR FOODS? Yes, these are allowed as long as you don’t overdo it. Because you will be drinking a lot of water, you will be losing a lot of minerals from your body. Therefore, you should add a dash of unprocessed salt such as its pink version from Himalaya mountains into your drink. With regards to pepper, spices, and dried herbs, there are again no rules as long as you keep things normal. FAQ #11: CAN I MUNCH ON DRY FRUITS OR NUTS? All dried nuts and fruits are not allowed because these foods provide you with highly concentrated nutrients and energy that you do not need. You can have these as healthy snacks during your week off but only in small quantities. FAQ #12: CAN I EAT ROTI-S LIKE CHAPATI, PULKA, WHEAT BREAD, CEREAL? Sadly, you can not eat these because they include a substance called gluten. The GM diet, on the contrary, aims to be gluten-free. Remember that there are many claims that wheat full of gluten is bad for your body. It can even cause weight gain with other health issues, and if your regular diet is based mainly on it, you will likely not be able to maintain your weight loss after this diet!